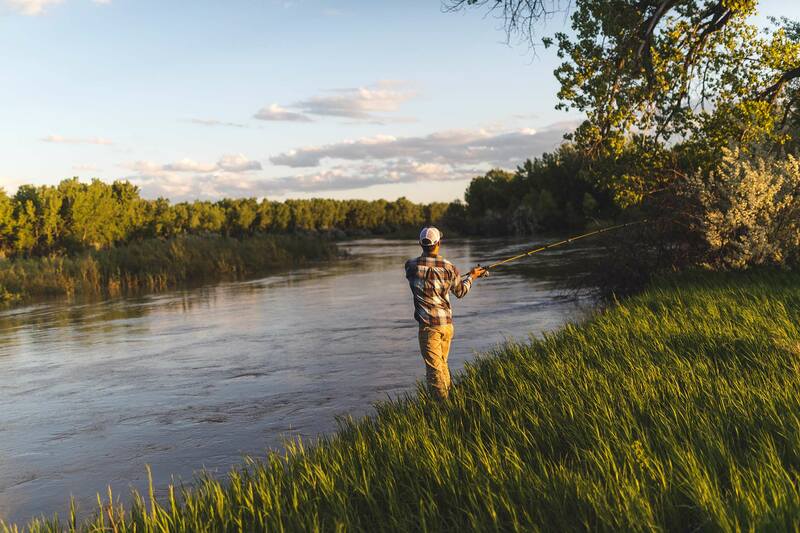 Cast your worries aside and reel in unforgettable action on Northeast Montana’s lakes and rivers. With more miles of shoreline than the California coast and 50 species of fish, the iconic Fort Peck Lake is an angler's treasure paradise. And with the Missouri and Yellowstone river criss-crossing the region, there are opportunities for fishing abound. Those considering fishing in Missouri River Country should think big. Defined by sandstone formations, fields of grain and fertile river bottoms, this is a place where shorelines go on for more than a thousand miles and fish grow to more than 100-pounds. This is the land where men built a dam across the mighty Missouri River and created the largest body of water in Montana. This is the land of Fort Peck Reservoir. 30 miles S of Fort Peck on Hwy 24, 7 miles W on N Rock Creek Cty. Rd. 14 miles NW of Fairview on Cty. Rd. More than 50 different species of fish live in Fort Peck and they all have room to grow. The reservoir is 134 miles long and as much as 220 feet deep. Along its 1,600 miles of shoreline and under its 240,000 acres of surface area, fishermen and women hit the waters seeking their own stories of 5-pound bass, 10-pound walleye and 20-pound northern pike, which pique the ears and interest of visitors. But Fort Peck remains even larger than the demand it creates and those seeking solitude and quiet waters can easily find them here. With the exception of space, the most abundant feature of Fork Peck may be its walleye fishery. The popular game fish can be found throughout the reservoir, but experienced anglers suggest focusing efforts on the bays and points of the reservoir and Big Dry Arm. Trolling with bottom bouncers and spinners tipped with minnows, leaches or night-crawlers, or using crank bait and jigs are advised as successful approaches for luring walleye from reservoir to net. Expect to catch walleye between two and4-pounds but be prepared for eight to 10-pound ones. Anglers looking for a fight may want to target the reservoir’s abundant small-mouth bass - possibly the scrappiest freshwater game fish that can be caught anywhere. These guys are so aggressive they will bite on just about anything - jigs, crank bait, spinners or flies. Look for them near rocky areas around the points and islands between Devil’s Creek and Hell Creek. While most of the bass remain between two and 3-pounds, it is not uncommon to find a 5-pounder on the line and a fight on your hands. Another favorite among locals is the northern pike, which were first planted in the reservoir in the 1950s. Expect four to 8-pound pike and hope for one of the 20-pounders in the Big Dry Arm Bay and lower areas of Fort Peck. Then there are all the rest - lake trout are more easily taken in the spring and fall, ling that look too much like eels to become too popular and Chinook salmon that continue to be stocked in the reservoir. Fishing Missouri River Country isn’t just about Fort Peck Reservoir. 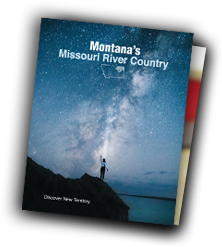 The Missouri and Yellowstone rivers cut through dramatic landscapes here. Both are thick with their own possibilities - including the chance to land more than 100-pounds of something harkening back to another time. Ancient paddlefish of enormous size can still be found in both rivers. On the Yellowstone, seek them out near Sidney; on the Missouri, look between the Fred Robinson Bridge to the head of Fort Peck Reservoir. Fishing for these creatures requires an additional state license, big treble hooks, heavy weights and a deep-sea rod. Sharing space with the paddlefish are two species of sturgeon. The pallid sturgeon is listed as an endangered species and must be immediately released if caught. The smaller shovelnose sturgeon may be kept if it weighs no more than 16-pounds. Another great angling spot is Nelson Reservoir, the experts’ pick for the best walleye fishing in Montana and home to record-setting pike and yellow perch. From one end to the other, Missouri River Country is a place of enormous fishing opportunities. Newcomers to Fort Peck are advised to seek out local fishermen for advice on where to go and what fishing techniques to use.